The mountain of the title is Yucca Mountain in Nevada, at one time a proposed nuclear waste storage site. D'Agata explores the problems inherent with trying to store nuclear waste from several different angles, including some personal ones. The chapter about the panel tasked with figuring out how to keep our curious descendents from meddling with the deadly site for tens of thousands of years is worth the price of admission alone. 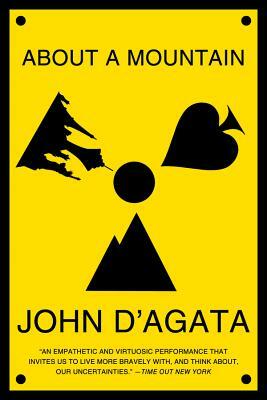 When John D'Agata helps his mother move to Las Vegas one summer, he begins to follow a story about the federal government's plan to store nuclear waste at Yucca Mountain; the result is a startling portrait that compels a reexamination of the future of human life.